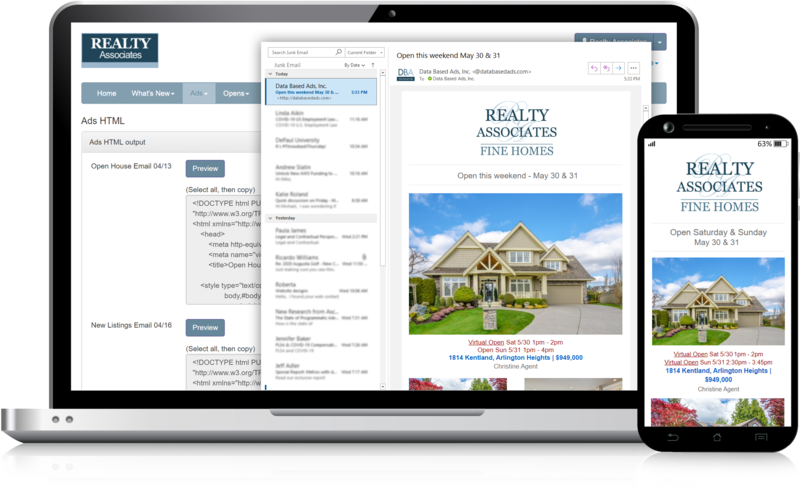 Using our ad selection technology, brokers can aggregate appropriate listings for specific agent groups, then use our HTML output to get the word out via commercial email marketing applications. 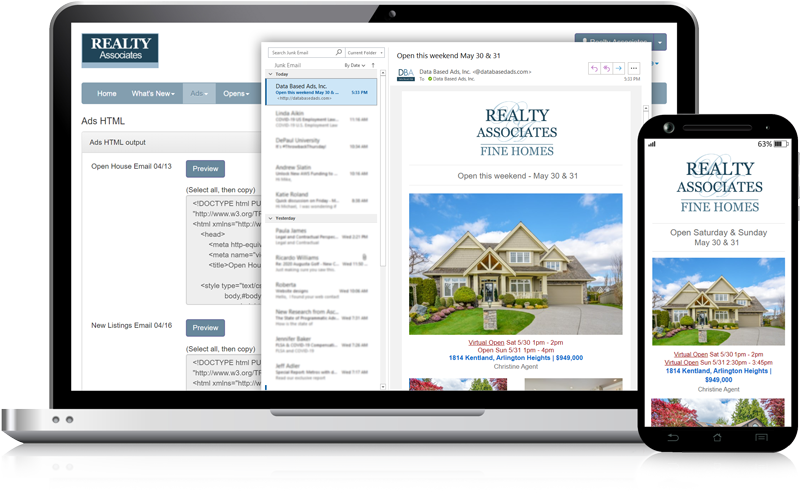 AdMaster™ facilitates the marketing of new listings, open houses and other listing groups to custom agent and broker target lists. Use our format or create your own custom brokerage format.